SOKENDAI initiated the program in FY 1995 and continued it until FY 2002 as a "Short-term research program for young foreign researchers" supported by the Ministry of Education, Culture, Sports, Science and Technology, and then renewed it to be co-organized by SOKENDAI and JSPS (The Japan Society for the Promotion of Science) in FY 2003. Under the auspices of this program, for two months during the summer, young researchers from five countries (USA, UK, France, Germany, and Canada) who have undertaken or just completed doctoral programs are offered both an orientation on Japanese language and culture, and opportunities for joint research programs at research institutes or universities. From FY 2014, The Swedish Foundation for International Cooperation in Research and Higher Education (Sweden) was added as one of the nominating authorities. 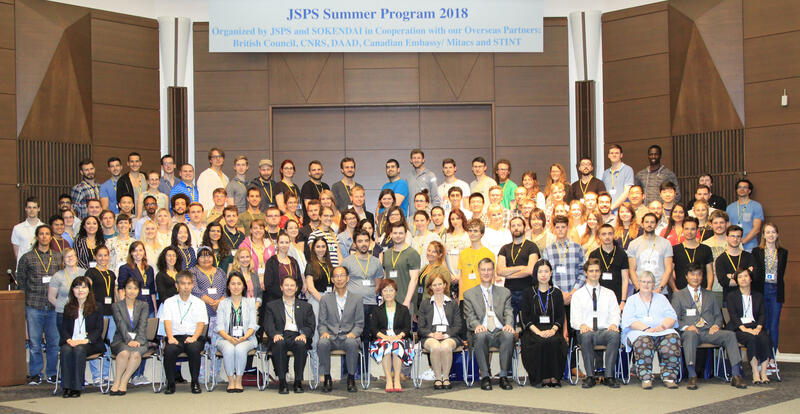 Besides being a co-organizer and provider of the orientation sessions and final meeting of the JSPS Summer Program, Sokendai can be the host institution for your research experience during the summer, as it is one of the leading universities in Japan with top-level faculty across disciplines. In the following, we introduce some of our professors who are willing to accept JSPS fellows who are interested in their work. We would be most delighted if you could find a future host professor here.